the daily be: love: a giveaway! did you see that cute scarf i wore yesterday? 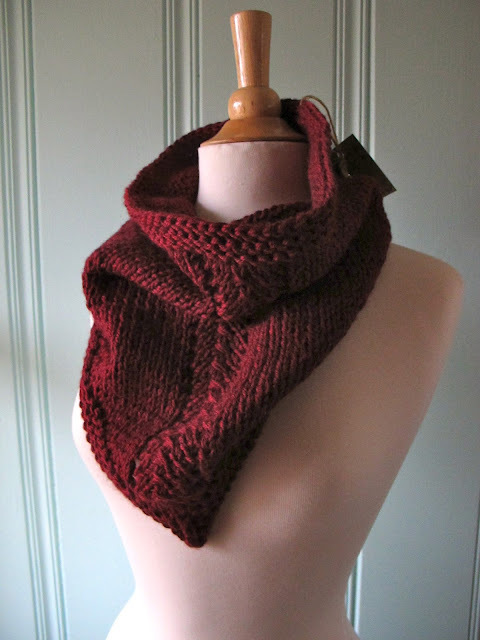 it was sent to me last week by the super-cute and super-talented caitlin, of knot your granny's knits, and i've worn it almost every day since. Hello, my name is Caitlin! I am a stay-at-home-mom first and foremost, but enjoy the heck out of beautiful fiber yarns. I'm a self-taught knitter and have been knitting for 6 years! I love interesting textures and design. Nothing too busy. Just great color, great texture and great designs. You know those pieces in your wardrobe that you can wear with anything? Those pieces that are so simple and easy to wear, that you can throw on in a rush but still look stinkin' cute at the same time? That's what I like to make. That's what I'm about. I'm inspired by nature, fashion trends, interesting textures and fibers, culture, practicality, and sustainability. I value the environment and care about using natural fibers but understand that sometimes allergies and personal convictions (hello my vegan friends!) occasionally call for artificial fiber. My attention span and my two babies don't allow me to knit any large projects. Instead, I knit and crochet contemporary and stylish accessories that are nothing like what my grandma used to knit! (Hence my shop name!) I hope you enjoy my store as much as I enjoy making things for it. 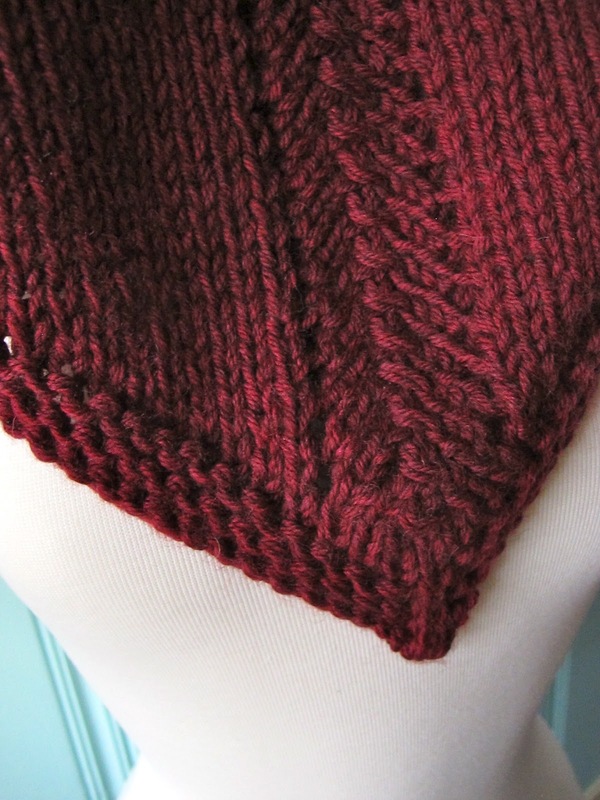 i'm so excited because caitlin is giving away one of these gorgeous triangle scarves to you! just enter the code: THEDAILYBE at checkout. to enter the giveaway, visit caitlin's shop and leave a comment below with your e-mail address. for extra entries, you can mention this giveaway on twitter or facebook. just leave a separate comment linking to your tweet/status. Love this!! Her work is beautiful! Caitlin! I LOVE your triangle scarf! Pick me! Pick me! So much awesome stuff in her shop. I love all that you make Caitlin! I love a cute scarf! Especially if it's free, heh. I love the slouchy hat! So cute! That is a really cute scarf! I love it and a bunch if your other stuff too, especially the slouch beanie!! Great giveaway, B! Inspires me to want to knit one day.... if only I had more time! Cute! LOVE her colorblock cowls too. I'll take one of everything in her shop! 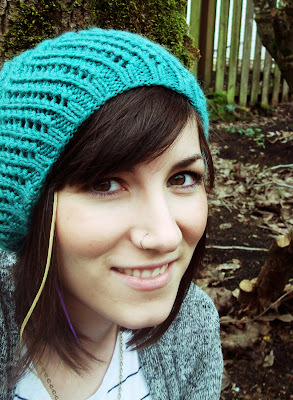 :) love slouchy hats and scarves and the hair pins are adorable. Oh goodness, would I love to win that gorgeous scarf. As a mom, it's great to have something to throw on to dress up my "mom uniform". Great giveaway! 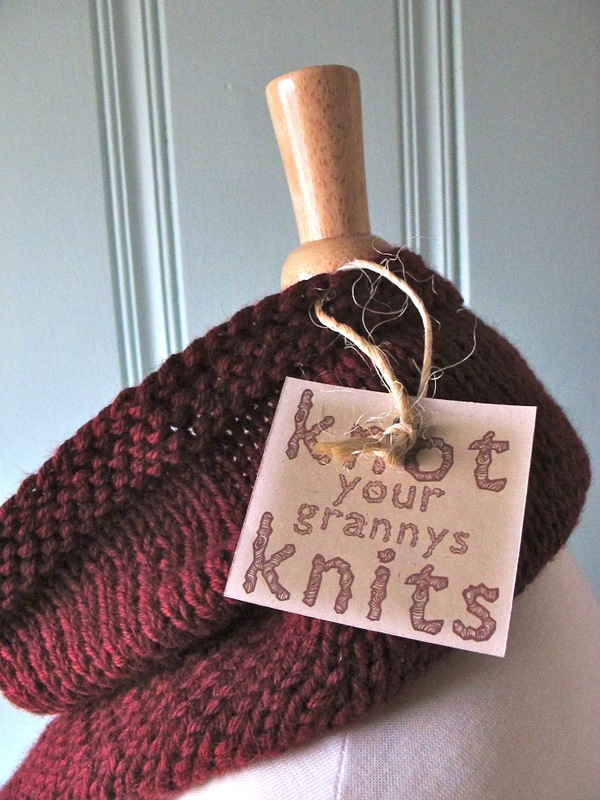 Who knew knitting could be so trendy! That scarf is a great staple item. P.S. Do you know if she usually sells triangle scarfs on her site? That shop name is adorable. So is her scarves! Sbullard@gmail.com. Check out my blog sometime! Would love one of the triangle scarfs!! Love this! So cute! I love the Olive and Walnut colors she has available for this scarf! Her work is gorgeous! I love her style especially the charcoal & grey cowl! such a cute shop. just saw your blog on aimee's site. so cute! I love everything in her shop! I wish I could knit. I must WIN this triangle scarf&& purchase her knitted bangle! Super cute! That is super cute! I love her store!